Spring is here, and with it come new visitors to the field site. On May 16th, AltaRock’s Trenton Cladouhos and Kyla Grasso visited Oregon State University in Corvallis to give an invited lecture in the Geology and Geophysics Seminar series at the College of Earth, Ocean, and Atmospheric Sciences. The lecture was attended by about 100 people, including members of the public as well as OSU faculty and students. The following day we led a field trip to Newberry for about a dozen graduate students taking a course taught by professors John Dilles, Robert Harris and Deborah Pence entitled Geothermal Systems for Earth Scientists and Engineers. 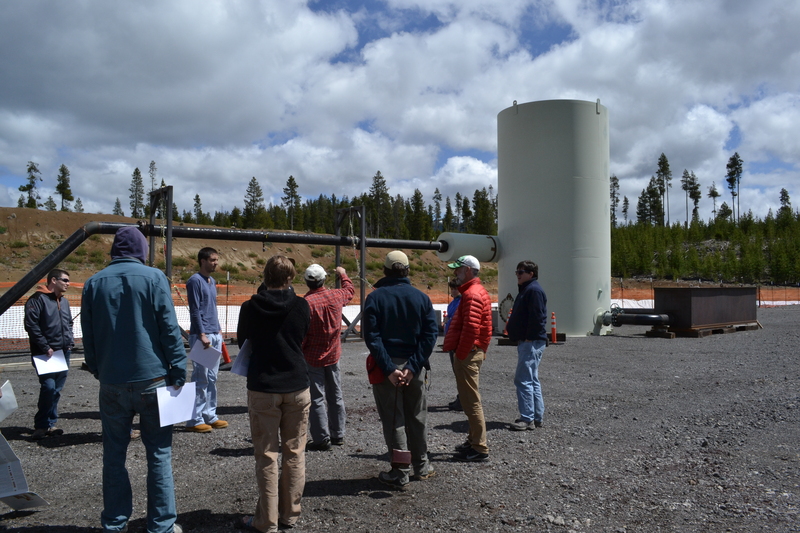 We explored the geology of Newberry Volcano and the inner workings of the Newberry EGS Demonstration field site. 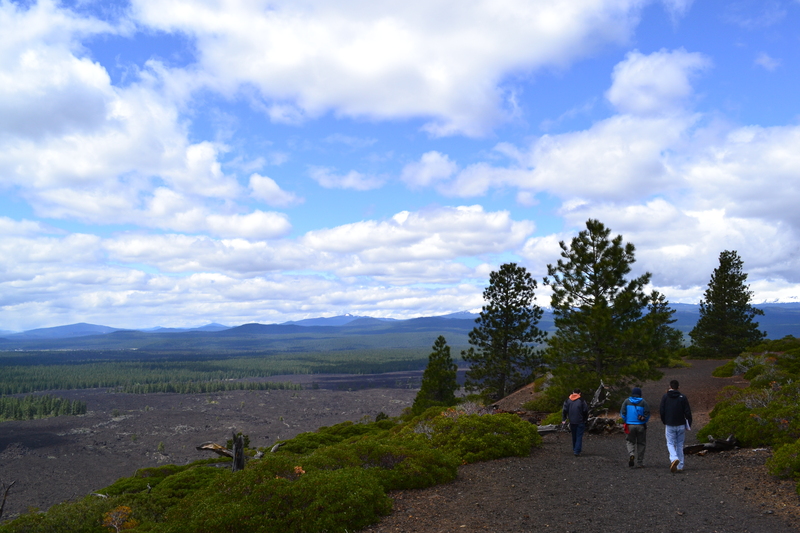 Students hike the rim trail around Lava Butte for a view of some of the youngest lava flows from Newberry and a discussion about Newberry’s eruptive history. The field trip began at the top of Lava Butte with a discussion about the local geologic setting and Newberry’s eruptive history. Subsequent stops included a visit to the stimulation site, watching water sampling take place, visiting one of our field seismometer locations, and a brief trip to a previously constructed drill pad which is now being reclaimed and replanted with trees by the US Forest Service. These stops were followed by a beautiful hike up the snowy Big Obsidian Flow. Some lively discussion about the mineral and biological properties of the hot springs at East Lake, led by economic geologist and OSU Professor Dr. John Dilles, concluded the day’s adventures. Trenton Cladouhos explains the equipment setup at the stimulation site to OSU students and faculty. AltaRock also recently visited the OSU Cascades Campus class on Conventional and Alternative Energy Systems. We were pleasantly surprised by the enthusiasm, interest and depth of questions that students brought up during our presentation. We look forward to hosting these 21 soon-to-be engineers as well as a group of pre-Energy Systems Engineering students from OSU’s Corvallis campus for field trips next week. 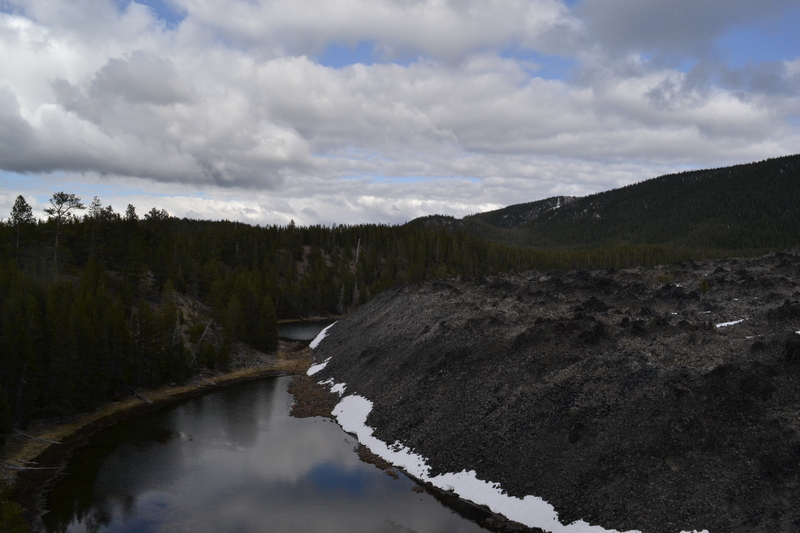 View from the Big Obsidan Flow, which still has patches of deep snow in some place along the hiking trails.